Before independence was in vogue, this advisor left the comfort and familiarity of a big-name firm – plus significant chips on the table – to build her own RIA. And she did it without leveraging a service provider. Breakaway broker Dorie Fain of &Wealth shares how she banked on her client relationships, instead of “believing the hype” that she needed a big brand name behind her. It was back in 2008 that Dorie Fain chose to leave behind the security of Morgan Stanley – and $200mm of her $225mm book – to build a boutique RIA firm to serve the specialized needs of her clients. And she did it her way, without leveraging a service provider. Why she’s better able to service her niche client base as an independent advisor. Overcoming “the hype” of believing advisors need the safety of a well-known firm in order to be successful. Her experiences in working directly with a custodian to build her firm. How to balance working on the business and in the business. How independence fueled her growth and paved the way for her endgame. 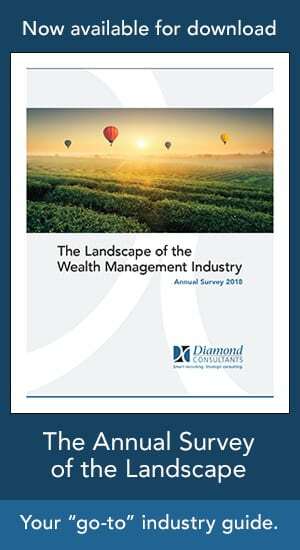 No doubt there are many clients who will only work with advisors at major brokerage firms, but there are equally as many who support the innovation and entrepreneurship of independent advisors. By following her instincts, Dorie found the courage to leave significant chips on the table and build a better way to serve her clients — and in doing so, found the collegiality and community she felt her wirehouse lacked. Can Only the Biggest Firms Serve the Biggest Clients? Dorie is Founder and CEO of &Wealth, a boutique financial advisory firm expressly created for a select group of women who are managing major life events and their own new-found finances for the very first time. Dorie spent 12 years at Smith Barney, where she became the youngest woman ever hired into their training program. Anchored in the belief that financial planning is the foundation of investment management, Dorie wanted her clients to experience more patience, more thoughtfulness, more personalized attention, more flexibility, and a steady-as-we-go approach. She followed her instincts and founded &Wealth to offer women more of everything that matters to them. 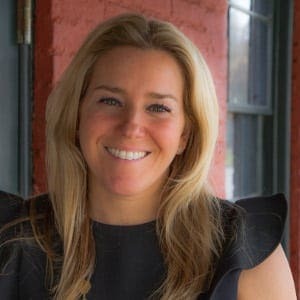 Since founding &Wealth in 2009, Dorie has watched her clients go from cautious observers to thoughtful investors by educating them about the process, helping them connect to their own needs, trusting their instincts, and making thoughtful decisions—about everything from estate plans, to investments, to insurance plans, to retirement plans. When she’s not running after her young son, Dorie loves to run through books, tennis courts, ski slopes, and New York City streets. She is a board-certified CFP® and a proud graduate of The Ohio State University.